Many of you that are new to this site might not know that I have been pretty sick over the past three years. I haven’t done much writing during this time. I used to look forward to writing every day, but I lost my voice and my will to write when I started getting sick, and the sicker I got, the harder it became to decide what to write about and where to take this site. 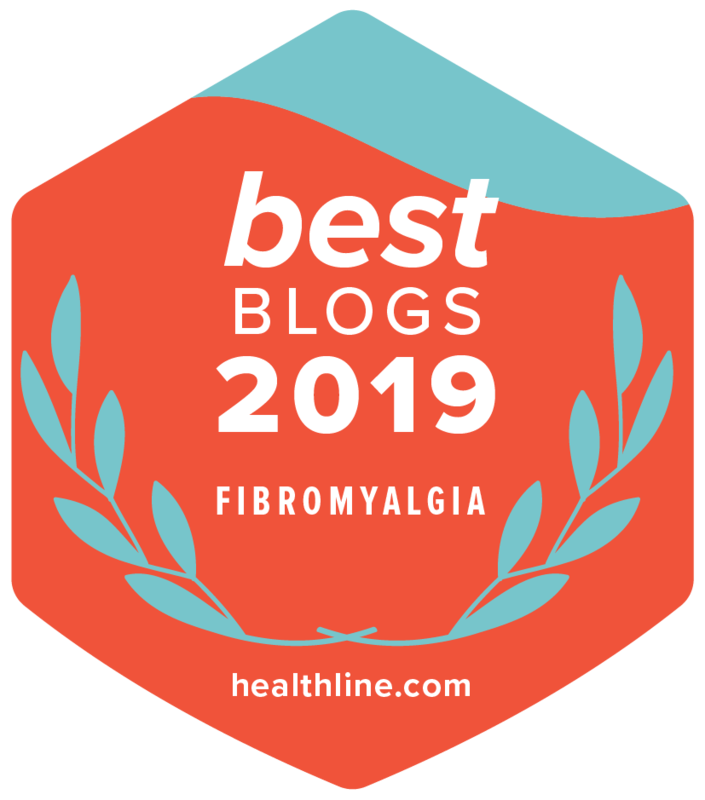 For those of you who are not familiar with my story, I was diagnosed with Ankylosing Spondylitis in 2009 and with Fibromyalgia, Chronic Fatigue Syndrome, and Myofascial Pain Syndrome early in 2015. I am a Invisible Illness warrior and an expert on chronic pain and fatigue, and I can tell you from first-hand experience that when you are in constant pain and fatigue every day, it is really hard to concentrate or think about anything else other than your own misery. Travel has certainly been out of the question. Finding joy in the aftermath of these illnesses has been very, very hard. I am fighting for awareness and well-being all the time. When I launched My Several Worlds in January 2007, I had already lived in China for three years and I had a year under my belt in Taiwan. I was bright-eyed and bushy-tailed with boundless energy and the desire to do EVERYTHING. I wanted to go everywhere, see everything, and try every new experience that came my way. This site has been a travel and culture blog since its launch, and the greatest joys I’ve had with MSW are being able to write about the things that we have done together, the lessons I’ve learned, and the connections that we’ve made through this site, on our travels, and through our lives as expats in Taiwan. MSW was named after one of my favorite books, which was given to me by my grandmother just before I left to teach in China in March 2003. My grandmother and I both admired Pearl S. Buck as a writer and as an activist with civil rights and women’s rights activities. When Grandma learned that I was moving to China in 2003, she insisted on finding me a copy of Buck’s autobiography, My Several Worlds, which related the author’s tales of her childhood and travels in China. Written in the 1930s, the book was long out-of-print and Grandma searched high and low in second hand bookstores throughout Ottawa before laying a worn, dog-eared copy of that book in my hands a few days before I left to go overseas. I still have that book – it is one of my prized possessions, not only because it was a gift from her, but because it still so completely and utterly represents my own personal journey. Once again, I am reminded how differently Buck lived her life, and that this site and the name of it still carries so much relevance for me. The past nine and a half years with MSW have been a period of unlimited growth for me, but as I got sicker, our semi-nomadic lifestyle has becoming increasingly more difficult and stressful for us. Our days of traveling through countries by motorcycle and climbing up ancient temples in Asia and Central America are long gone. We have had to accept that I have severe physical limitations that will not allow me to do these things anymore. Obviously, I haven’t been able to travel much in the past four years. I can’t tell you right now how bad things have been, but I can tell you that things have been pretty grim for us. In January 2015, after an emergency trip to the hospital for a life-threatening drug interaction, I transferred to Taipei Veteran’s Hospital to receive treatment with the top rheumatology team in Taiwan. I received the diagnoses that I have listed above from this team in May 2015, and my health has yo-yoed constantly since then. Understandably, I have experienced severe depression and I’ve developed extreme anxiety from what has been happening to my health and because of the massive and very scary side effects of the drugs that I take to keep my immune system in check. It is only recently that I’ve started to accept what has happened to me. My conditions are incurable. The pain is not going to go away. The fatigue will not go away. The best that I can hope for is to maintain my health by recognizing my limitations and by focusing on finding an alternative treatment that might bring me some relief. Not everything has been negative during the past five years, though. I made some very bad decisions that had some severe consequences on my health, but I focus on the fact that out of the decisions I made from 2010 onwards, many positives came with them. In retrospect, I wish that I hadn’t gotten so involved with Reach To Teach, especially in regards to managing the company. I did not know how to explain what was happening with my body to anyone because I didn’t understand what was going on, nor did I have anyone to tell me what to expect. It ultimately resulted in making me sicker. At the most important time of my life when I needed peace, quiet and understanding, I was living in a state of constant stress with people who did not understand what I was going through and who were not interested in supporting me or even trying to understand what John and I were trying to cope with on our own. One of the silver linings in making Reach To Teach what it is today is that many of the teachers that I have worked with over the past five years still play a positive role in my life as friends and as supporters. Thank you for being there for us. Now I know that my life is NEVER going to be the same as it was, but I’ve accepted this and I’ve been able to let go. I can’t change what is happening to me or how others react to me, but I can change how I look at myself and I can find joy in what I have in my life. And now I’ve finally decided where I want to take you on this journey of mine. Since my first post in January 2007, this site was supposed to be about the worlds that I visit and the worlds that I inhabit. I’ve finally realized that I don’t need to be traveling to make this site work. There are so many directions I can travel in with My Several Worlds! Chronic illness: Learn how I am living my life abroad with immense health challenges. This is my new normal. I am going to tell you exactly what I’ve had to do to find happiness in a world that continues to swirl around me. I am continuously surprised and touched by the number of people who have reached out to me here on My Several Worlds and on Facebook through my awareness posts. It also brings me joy to know that these people are looking for support or information that I can help them with. And to me, being able to help someone who is chronically ill to live the best life they can possibly imagine is a new dream come true. There are no support groups for me to access in English in Taiwan, so I have been working on creating my own to help others here in Taiwan. Expat life: If you’re interested in learning more about expat life and global citizenship, I have lots to tell you. The best description I can give you for global citizenship isn’t related to how many stamps you have in your passport. It’s about being someone who has been changed by living abroad and it is about helping others. I have been volunteering with the Canadian Chamber of Commerce in Taiwan (CCCT) since 2014. In 2015, we formed CCCT’s Small Business Committee and we launched a number of successful small business events for foreigners in Taipei last year. We are building on this for 2016. I also devote time to several online women’s groups for women that are chronically ill and I volunteer with Walk Your AS Off and the Walk AS One Board of Directors. Walk AS One is a new non profit organization dedicated to helping to mobilize and motivate a global community to raise awareness and address the challenges of everyone affected by Ankylosing Spondylitis and its family of related diseases. This is the first non-profit organization I have been involved with in the United States and it is pretty exciting to be a part of it. Working directly with people with AS and with Fibromyalgia and helping to raise awareness has been a driving force in my life. It has given me purpose to move forward. If my posts are reaching communities of people that are chronically ill, then I am fulfilling my purpose of paying it forward and helping others. Teaching Abroad: I am still in the ESL industry via Reach To Teach and will continue to post content for readers that are looking for information on how to teach abroad. Travel: If you’re looking for adventure travel updates or information about fitting in as much as you can into your travel itinerary, you won’t find it here. I’m going to tell you how we have to travel now with my health challenges. Hint: It’s slow and uncomplicated and it’s very simple to follow. So expect some updates, friends. My life has been moving in a different direction for a number of years now, and I hope you will continue to be a part of My Several Worlds. Hi, thank you for your story. I have Rheumatoid Arthritis and will be teaching English abroad in Thailand in the fall. My question is, how were you able to get coverage for your medications while teaching abroad? Will I be able to be insured and get my Humira injections still? Thank you so much! Hi Michelle. I was diagnosed while I was abroad teaching. Had I known about having AS before leaving for Asia, I likely wouldn’t have been able to pass the government health check that is required in every country. I had to stop teaching because of my illness, but by the time that happened, I was already at a desk job in Taipei and doing well, thus my health or the impact of being on my feet and working with kids was never an issue for me. I have no idea if you’d have access to biologics in Thailand. Good luck! Your site and your personal stories have great relevance to me as I am currently dealing with a health condition that is resulting in a mobility disability. There are things I used to love doing that I haven’t been able to do for over two years. I think it’s extremely valuable for a lot of people out there who still want to travel and make the best of their circumstances despite illness to hear from people like you who are living with chronic conditions that are difficult to manage. I congratulate you for writing about this! Thank you, Amy. I am finding life harder and harder to manage, especially abroad, but we must keep on keeping on, right? Thank you for writing this! I just came back from a two week trip in China and am really wanting to just pack up and move there. The only thing is I have Multiple Sclerosis and trying to research how to make this work is not very easy. I am wanting to teach abroad but not sure how my medications and all of that would work. I’m on a twice a year infusion schedule now, and it’s not offered in Asia as of yet. I will look into The program you mentioned. Again, thank you so much for putting this out there, this is extremely helpful! Hi Ashley. It’s my pleasure. I’m not sure where to refer you to because I have no idea what you would do for medications in China. Speaking honestly, and having lived there for three years, that is the last place I’d want to go to for teaching and with an illness. The hospitals are sub par, the street quality is poor, most buildings are walk-ups and if your mobility is compromised in any way, China is not a friendly place for people that are chronically ill. I once got stuck in my apartment for a week *six floors up* during my first few weeks there. I couldn’t get down my stairs and my school hadn’t left me with any numbers to call. I had to wait for someone to come knocking on my door before I got help. That was during my first few weeks in China and I never made that mistake again, but overall, having spent three years there and knowing what the hospitals are like, I would never ever go there with a chronic condition. These are just my personal thoughts. The safest and best places to teach in that will offer you good quality medical care are Taiwan and Japan.